Nancy K. W. Reviewed by Nancy K. W.
I love autumn and this picture was perfect. 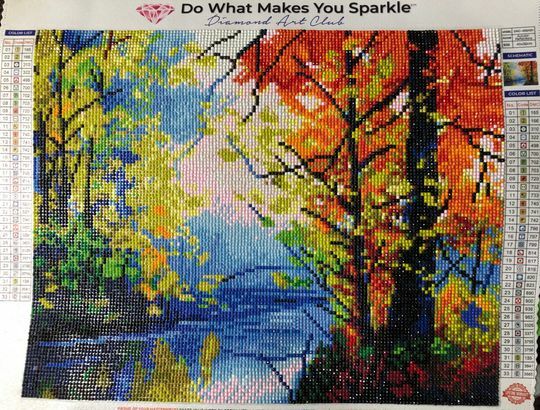 I liked the smaller size as it only took a week or so to finish, but would like a larger fall landscape to go along with it. The colors are bright and really shine. 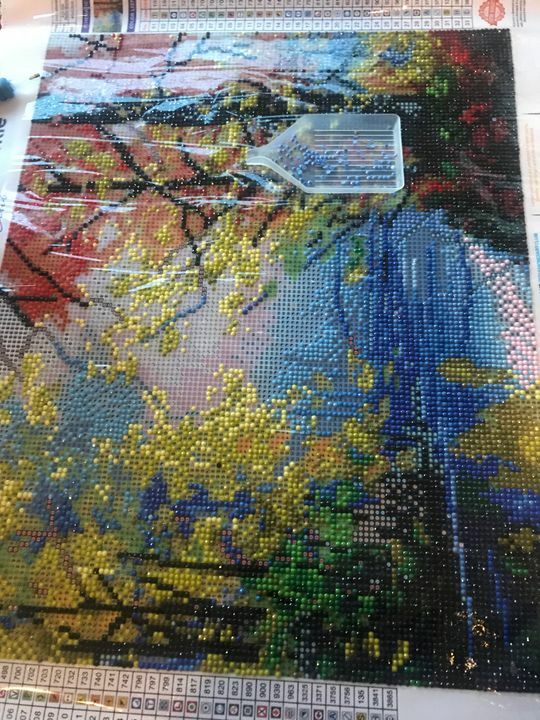 So far this one is difficult and fun!! Can’t wait to see the finished product! Another wonderful kit from DAC. I received plenty of drills, the canvas is high quality, and the AB accented drills add a nice touch to the finished project. I really enjoyed doing this one.